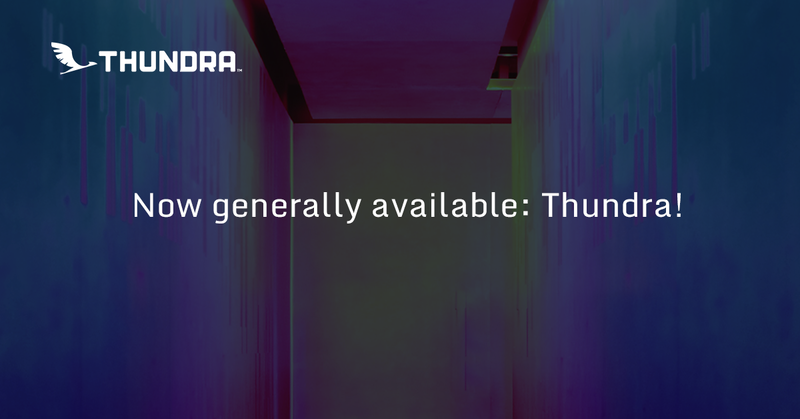 We are excited to announce that Thundra is now generally available to the public! Maximize developer productivity. With Thundra, developers can quickly add detailed monitoring to their serverless environment without any code changes to rapidly pinpoint which parts of their application are throwing errors, experiencing cold starts, or taking too long to execute. Lower costs and resource consumption. Thundra gives operations a way to understand resource consumption at-a-glance and identify critical areas to focus on - whether it be within the Lambda environment itself or a bottleneck with an external service. Optimize serverless systems alongside your other systems, on-premise or in the cloud. Thundra allows you to analyze the external resources your serverless application interacts with, alongside all your other organization’s data within the visualization platform of your choice. Read a message about why we built Thundra and what's new from our Founder, Serkan Özal. Want to try it out? Get started with a 14 day trial. Thundra is a software organization dedicated to helping serverless applications become a mainstream production reality for all enterprise organizations by shedding light into black box environments. With rich visualizations of aggregated metrics, logs, and traces, software teams can quickly identify and solve performance problems in their AWS Lambda environments with minimal to zero coding and no additional overhead. From informative at-a-glance overviews to deep-dive end-to-end invocation tracing and analysis, Thundra provides full observability, debugging, and performance monitoring for serverless development and operations teams. Learn more about how Thundra is helping organizations with their serverless challenges at www.thundra.io.